I was 16 when I sat behind the wheels of a car for the first time. Our phoenix red Maruti Omni seemed like the perfect testing ground and I was super excited. We hit the under-construction inner-ring road post-midnight and after a few debacles with the clutch-accelerator pedals, we were go. And in a few, I was cruising down that road; it was a time when Bangalore did not have the manic traffic problems of today. I had heard from friends about the gears and shifting, and I was switching over seamlessly when my dad let out a strong yell and I hit the brakes immediately. 4th gear? I was just a newbie and I had switched to the top-most gear? We’ll wait for some hours of driving before we get there, OK? Driving has always been portrayed as an overly-technical feat that requires extensive hand-eye-leg-brain coordination. Add to that the general societal stereotype about women driving and it is made to seem like a humongous achievement. When dad got his first car, the phoenix red Omni, mom got behind the wheel as well. To this day, her driving down the roads of Bangalore and Coimbatore are shared as humorous anecdotes in family gatherings. This comes mostly from relatives who have been driven around by their husbands all their life. When I came back to India and started driving again, I felt the need to ‘practice’ before I got on the road because of the huge task that driving on Indian roads was made out to be. Add the importance attached to driving to the Indian mindset of gaining one’s parents’ approval to be considered successful, and I was always conscious about my driving around my parents. When the folks visited me in the US, there was always an extra attempt to be the responsible driver. A smooth lane transition, a successful overtaking maneuver or a last-minute save-our-lives braking and the ears were always perked to hear that nod of appreciation. Most drives were spent in utter silence, and I could feel my parents holding their breaths, not letting conversation distract their attention from the road. Somehow, the thousands of miles driven and the 8-hour non-stop drive back from Niagara falls were all validated only by the approval from the boss. This week when the parents visited though, things seemed very different. The pressure was strangely gone. And they did not mind me driving them around as well. 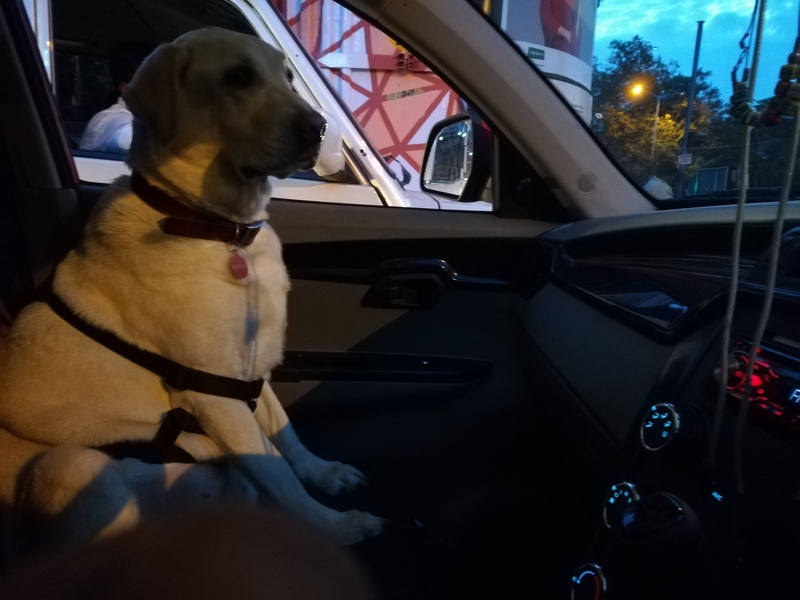 I did not have to do the usual fight when dad is around, to get into the driver seat. Very few have won that fight with him and I did not even have to make an effort this time. There was very little pillion-driving as well, and except for an occasional remark, they continued on their conversation, almost unaffected by the driving. As I thought some more about this, I realized that we had all grown up a lot since that night from 2000. My parents had grown to accept me as an adult, specifically in the last few years. I had grown to accept them as human beings, with their fears and insecurities. We had grown confident in each other’s strengths, and weaknesses, and turned to each other for advice when needed. We knew when to hold off on those uncalled for suggestions. And i think that maybe my need to prove my worth to them was all in my mind after all. Maybe they knew from the beginning that was good at it; I was their child after all.